A creamy and sweet ricotta cheese is topped with a crunchy biscuit and nut sprinkle and drizzled in an orange and fig syrup. A stunning Italian dessert that will impress your dinner guests. Put the cream cheese, ricotta, cream, sugar and half the orange zest and juice in a large mixing bowl, then beat with an electric mixer for about 3 minutes until thickened. Chill for 1 hour. Meanwhile, put the orange liqueur (see tip) and the remaining orange zest and juice in a small pan. Bring to the boil, then simmer for 5 minutes until syrupy. Remove from the heat. Add the figs, stirring gently to coat in the syrup, then leave to cool slightly. 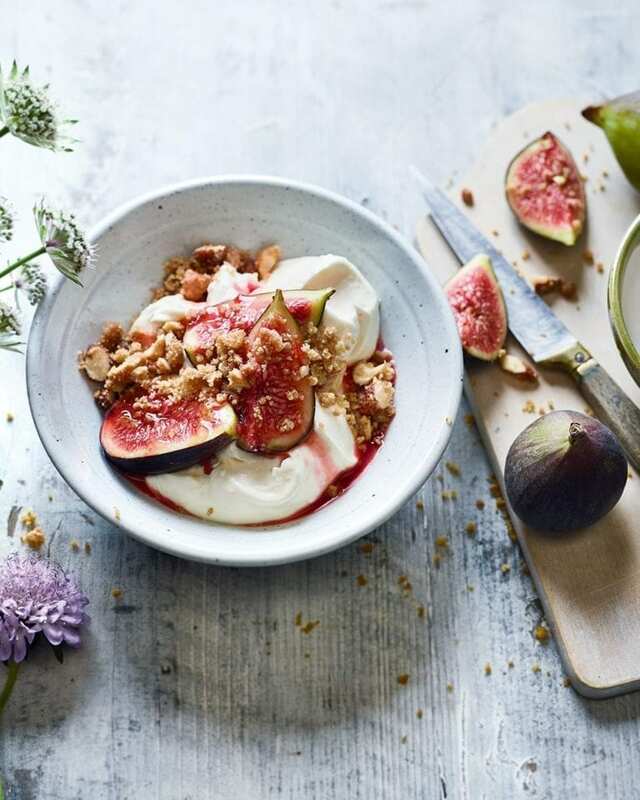 When ready to serve, spoon the cheesecake mixture into bowls, then top with the figs, a drizzle of the orange syrup and a sprinkling of nutty crumble. Swap the orange liqueur with 4 tbsp orange juice, if you prefer. Make the cheesecake mix and crumbs up to 2 days ahead. Chill separately.